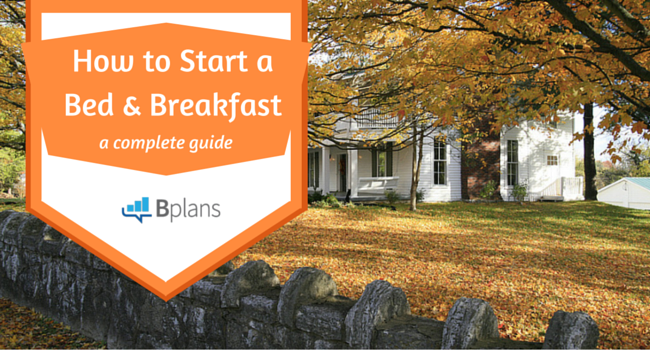 Have you always dreamed of starting a bed and breakfast? Here is the step-by-step information you need on what goes into launching your own B&B business. It’s an image that puts you in an instant state of relaxation—a roaring fireplace in a cozy rural bed and breakfast, sharing stories with fellow travelers while enjoying a glass of brandy or your favorite red wine. The romantic notions so closely associated with a bed and breakfast have made owning one a popular dream for many people. This is one of the reasons the bed and breakfast (B&B) industry has grown so significantly in recent years. Do you sometimes drive by a historic property and find yourself fantasizing about turning it into a bed and breakfast? Do you imagine spending your mornings preparing a hearty meal for tourists from around the globe and your afternoons filling the place with the intoxicating aroma of fresh-baked cookies and muffins for when they return? If this is something you have given serious thought to, starting your own bed and breakfast can be a rewarding and profitable venture. But be sure to go in with both eyes open, as it also requires constant hard work and attention to detail, which might not be a keen interest for everyone. This article offers step-by-step information on what goes into prepping for and launching your very own bed and breakfast business. To provide an inside perspective on what it takes to run and maintain a successful B&B, I interviewed Kathleen Karamanos, owner and operator of Fundy Heights Bed and Breakfast in Saint John, New Brunswick, on Canada’s scenic East Coast. If you’ve never had the unique pleasure of staying in a bed and breakfast, you may easily confuse it with other small, privately run inns and motels. A bed and breakfast is a hybrid which blends the luxury and comfort of an upscale hotel with the atmosphere and décor of a beautiful private residence. Often they are older historic properties which people seek out for the experience of centuries-old hospitality. In fact, 36 percent of American B&Bs have received some kind of historical designation by a preservation society. Whether the property is historic or not, what makes the experience different from hotels and motels is the personal attention guests receive from the owner. Playing the role of host, chef, and meal companion, the B&B owner is fully immersed in the guest’s experience. As the name would suggest, the nightly fee includes a hearty, home-cooked meal the next morning. The average American bed and breakfast has an occupancy rate of 43.7 percent and an average daily rate of $150. Like the rest of the hospitality industry, after a major slowdown following the 2008 economic collapse, the numbers are gradually getting stronger as the current decade moves along. This is as good a time as any to go into the business of starting a bed and breakfast. This more than anything can be a deciding factor in whether your bed and breakfast venture is a pleasant dream-come-true experience or a daily grind which will wear you down in no time. There is plenty of anecdotal evidence of bed and breakfast owners who mistakenly thought they could simply check their guests in and then not interact with them again until they checked out, as though they were running a conventional hotel. This approach is a recipe for failure in an industry that relies on word of mouth and social media recommendations. Do you have a sufficient business background? The bed and breakfast industry is a common haven for those looking to get out of the high-stress, corporate lifestyle. While there is no question that great relaxation and satisfaction can be found in the decorating, baking, and cooking that will fill your day, there is still a business element that cannot be neglected. A successful bed and breakfast owner will need to know how to plan for cash flow, hire and manage staff, strategize to maintain maximum occupancy rates, and negotiate with contractors and suppliers, to name but a few of the business-related tasks that will be required. It is probably no coincidence that nearly three-quarters of all bed and breakfast establishments in the U.S. are owned by couples. Not only is the workload demanding for only one person, but often it requires two people with very different dominant skill sets. It is very common to see one person handle all the hospitality duties while the other focuses on the business responsibilities. Are you looking to get rich quick? There’s nothing wrong with wanting to make a huge amount of money quickly, but you will likely want to look for alternative business opportunities if this is the case. That said, running a bed and breakfast can be a profitable and sustainable business. Many couples use it as a way to provide steady income while maintaining a lifestyle they enjoy. However, it is not the type of business that will provide a huge cash infusion over a short period of time. Are you prepared to give up weekends and holidays to run your business? If getting away during holidays and long weekends is important to you, it should not come as a surprise that running a B&B might not be the best business venture for your lifestyle. Your busiest times will be all those occasions when you would normally be enjoying a relaxing get-away yourself. Committing to running a B&B means making peace with the fact that you will be working when the rest of us are traveling and playing. While it is true that almost any private residence can be converted into a bed and breakfast, not every residence is well suited to being a B&B. To be successful and stand out amongst the competition, there should be something unique and attractive to the building you plan to use. Many bed and breakfasts use a historic angle to draw guests. Often a Victorian home can give travelers a sense of what it would be like living in the area in the late 1800s. Others may use proximity to the waterfront or other notable features as a way to entice guests to stay there. Kathleen Karamanos believes the convenient location of her bed and breakfast is a big selling point for her business. The Fundy Heights B&B is close to downtown as well as to the major highway, which brings travelers north from the New England States, Southeast to Nova Scotia and Prince Edward Island, and West to Montreal, Ottawa, and Toronto. You’ll want to study up on all local and state or provincial zoning by-laws. You may have the most beautiful, well-maintained vintage property that seems perfectly suited for bed and breakfast conversion, but if it is in a strictly residentially zoned neighborhood, it may be over before you begin. Check to see if a business license can be granted for the property at your preferred location. Because a B&B is not an industrial operation, it should not be too difficult to get the necessary clearances, but you cannot take it for granted. Without the green light from the zoning commission, you will not be able to move forward. Then, be sure to find out what other specific bed and breakfast regulations are in place in your jurisdiction. There was a time when it was common for multiple guest rooms to share a common bathroom. If this is the plan for your bed and breakfast, you would not be able to operate in the Province of New Brunswick, for example. Kathleen Karamanos is required to have a separate bathroom for each family unit who stays there. Half of the rooms have a private bathroom while the other half have stand-alone bathrooms assigned to each room. Make sure you are aware of all local regulations for running a bed and breakfast as they vary from jurisdiction to jurisdiction. Like any other part of the hospitality industry, staying at a bed and breakfast is really a luxury which is not available to everyone. It is crucially important that your B&B is located within a community that has a proven tourism track record and a local economy that can support it. There may have been a time when opening a B&B in the greater Detroit area may have been successful; however, given the economic hardships that area has been facing in the last 10-15 years, it hardly seems like a solid business venture now. Don’t give yourself an unnecessarily tough row to hoe by opening up a bed and breakfast in an area that doesn’t have the tourist draw to support it. Minimum Wage Rates in the U.S. Many older couples sell their home or business in order to invest in a bed and breakfast which will serve as both their residence and primary source of income. If this is not an option for you, there are the traditional paths you can take, including finding private investors, getting a small business loan from a bank, or finding other business support programs. How much money needed to get the project off the ground will depend on whether you are inheriting a ready-made B&B or converting a property into one. If you are converting a residence into a bed and breakfast, a suggested rule of thumb is $20,000-$40,000 per guest room for a small property and $35,000 to $50,000 for a larger one. This factors in costs for remodeling to meet regulations as well as brand new bedding, towels, appliances, fixtures, and decorative effects for the room. Always factor in maintenance costs, both preventative, and emergency. Even in the best-case scenario, you are still going to pay for regular upgrades and maintenance to the exterior, plumbing, and electrical. You’ll also have to be prepared for the worst-case when a plumbing pipe bursts or an entire section of the building needs rewiring. If these costs are not factored into the startup financing, you can find yourself in an operational bind before you know it. Lastly, you’ll need to make sure you have all of your business license and certifications in place. This goes well beyond simple zoning clearance and covers all the regulatory requirements in running this type of hospitality service. Very few industries are more reliant on word of mouth to attract new customers than a bed and breakfast. It would seem the best way to get new guests through the door is to keep your current guests more than satisfied with their stay. Especially since the modern day “word of mouth” is a travel site review, where a bad review can be a permanent stain on the operation’s reputation. Kathleen Karamanos launched a specific strategy to establish strong ties to the travel sites and local tourism boards. That strategy has since proven to be very successful. “We received a certificate of excellence from Trip Advisor in 2015 and since I took over in 2014, I was able to raise our Canada Select (National accommodations rating program) score from a 4 to a 4.5,” she explains. Kathleen believes you cannot overestimate the importance of travel advisory ratings in attracting guests. Despite being in a demographic known for their comparatively sparse use of technology, most of her guests find her bed and breakfast and make their first assessment online. She also strongly recommends getting involved with local travel boards and groups, as indirect marketing of your establishment can be very effective in increasing your occupancy rate. Start thinking of special promotions and offers that would appeal to each of the above segments. For example, partnering with a local spa to offer a reduced rate on a couple’s massage to guests who stay at your bed and breakfast is a great way to attract more business and it is benefiting more than one local business. Find other win-win partnerships and it will go a long way to strengthening your B&B’s long-term prospects for success. Perhaps you are part of a couple looking to open up a bed and breakfast and you plan to divide the chores and responsibilities among yourselves. This is not at all uncommon; in fact, between 30 and 40 percent of all B&B owners go it alone without hiring employees. But before you decide to join their ranks, you should have a complete picture of precisely how labor intensive running a B&B can be. All of this is on top of the other weekly chores that must be done, such as grocery and supply shopping. If you are not fully prepared to take on this workload yourself and be fresh to interact with your guests, you will want to bring in hired help. Each owner will have to decide which responsibilities they want to take on themselves and which ones they want to delegate to employees. Kathleen Karamanos decided to take a culinary course in New York prior to taking over her B&B and believes it has made a huge difference in the quality of service she is able to provide to her guests. Below you’ll find a list of resources that can help you find out more about what you’ll need to do to start your successful bed and breakfast business venture. 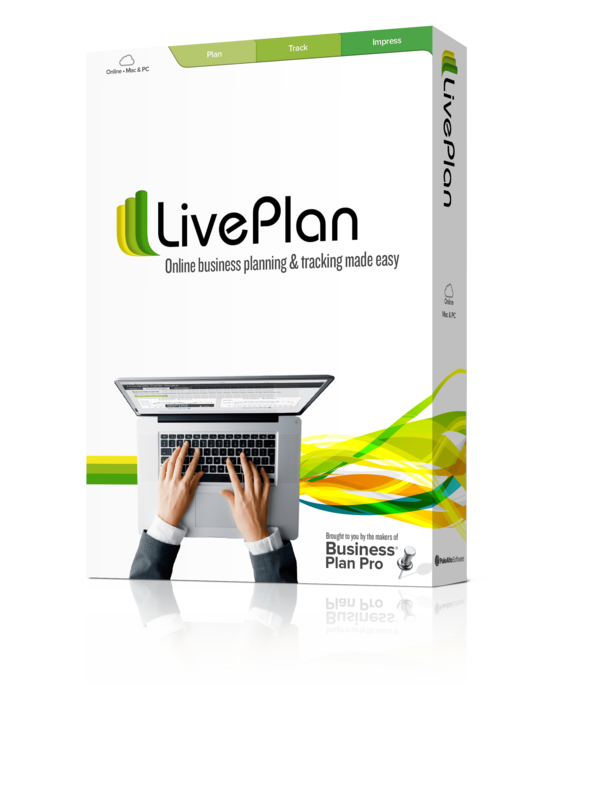 Free Bed and Breakfast Business Plans: The Bplans library of free sample business plans includes a section of four sample business plans exclusively for those interest in starting a bed and breakfast. BedandBreakfast.com: Provides information for aspiring and experienced innkeepers, educational resources, and everything you need to create the best listing for your inn. The American Bed and Breakfast Association: The American Bed and Breakfast Association is an organization dedicated to the promotion of bed breakfast inns nationwide. InnSpiring.com: An active forum with some very experienced innkeepers and aspiring innkeepers who aren’t afraid to ask questions to help themselves get where they want to be. This site also contains recipes, resources, and articles. B&B Talk Bed and Breakfast Forum: This forum/blog is run by Kit Cassingham and has some great information on everything B&B related.